I just read In A Glass Darkly (well, still got one or two stories to go). I feel like there’s a great contrast of a delirious, irrational undercurrent and the mostly very reserved prose style (and the pronouncements of the police or physicians who stand for authority and science). Le Dragon Volant has gone straight into my top European macabre stories… can’t go wrong with secret passages, mirrors, masks and coffins. Great feel for the atmospherics of space whether rooms or empty streets. And a bit of sexuality (even just in the plotting) that say Lovecraft or M.R. James totally lack. 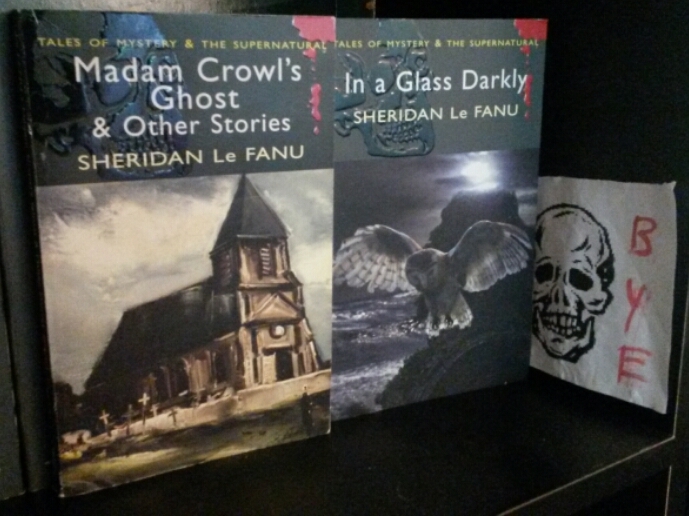 I’ll have to check out Uncle Silas and Madam Crowl’s ghost! Honestly, it’s been so long since I read that collection that I can’t really remember much apart from the monkey! Ive had another few of his novels on my shelf for the last 5 years, but I’ve been putting them off.